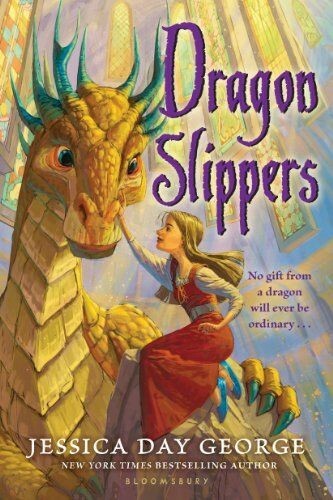 Ten-year-old Poppy was born to ordinary parents, but she has inherited the powers of a witch — gifts that are tremendously valued, even coveted, in her world! But Poppy has other talents, too, including a knack for baking, and what she'd really like is a career as a baker. 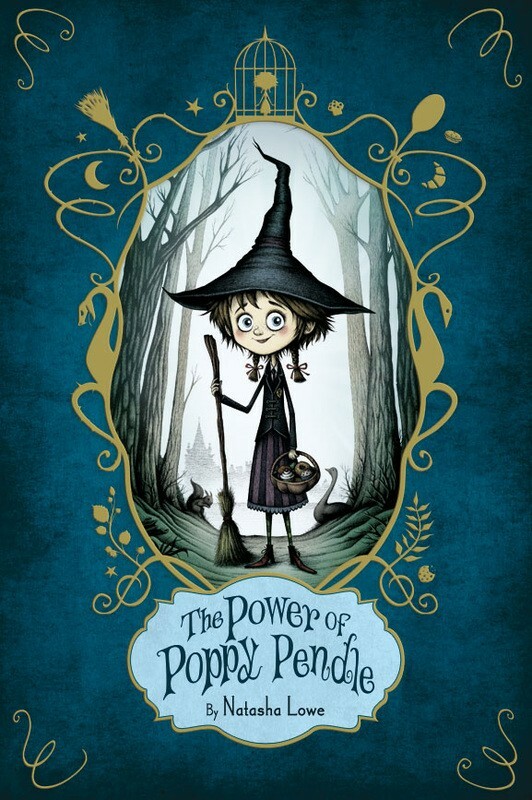 Despite her protests, her parents push her to follow in the footsteps of her great-aunt, a famous witch, but when they go so far as to take the oven out of their house, Poppy discovers that there's a dark side to magic... one that can come out all too easily when you're angry. Fortunately, good friends and good food can turn things around! This spirited story — which comes complete with recipes you can try at home — features a likeable character whose frustration will feel familiar to many tweens. Fans of this delightful story can read the sequel featuring Poppy's daughter, The Courage of Cat Campbell, and the companion book The Marvelous Magic of Miss Mabel. Princess Celie loves living in Castle Glower, and she especially loves Tuesdays, the day that a new room, turret, or wing magically appears! No one can guess what the castle will do next, and Celie is the only one who ever takes the time to map the new additions. And, when King and Queen Glower are ambushed and foreign interlopers appear to try to claim the kingdom, Celie's intimate knowledge of the castle will be key to protecting herself, her family, and her people. 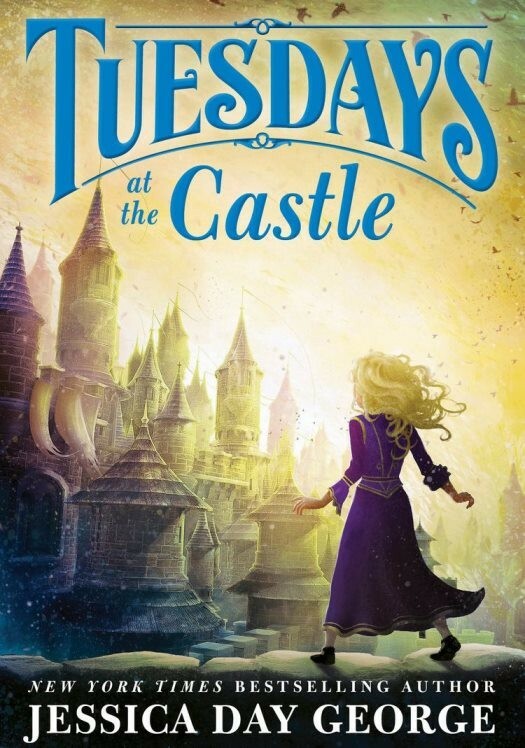 Celie's unique friendship with the magical castle provides fodder for all sorts of fun adventures in this charming story! You can continue Celie's adventures in Wednesdays in the Tower, Thursdays with the Crown, Fridays with the Wizards, and Saturdays at Sea. 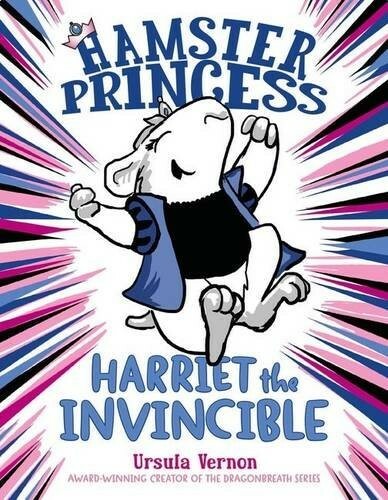 Harriet Hamsterbone finds life as a princess terribly boring... until the day her parents tell her that she's been cursed to prick her finger on a hamster wheel on her twelfth birthday and fall into a deep sleep. Harriet is surprisingly delighted: after all, if the curse is going to play out, that means she's invincible against every other threat! But when the curse backfires, leaving everyone else in the kingdom asleep, Harriet has to figure out how to break the curse — even if that means finding a prince. Kids will laugh at Harriet's glee, and at her befuddlement when the consequences of the curse turn out to be more complicated than she expected. Harriet's adventures continue in the rest of the Hamster Princess series. Miss Cackle's Academy is no ordinary school: this is a school for witches and the girls there all have to learn about such things as casting spells and making magic potions. Mildred Hubble has a reputation for being the worst pupil in the school — she's always getting her spells wrong. But she manages to get by until she turns Ethel, the teacher's pet, into her sworn enemy. Life is definitely about to get tougher for the school's worst witch... This funny series, originally published in the 1970s, is now back in print with new covers and ready to delight a new generation of readers. 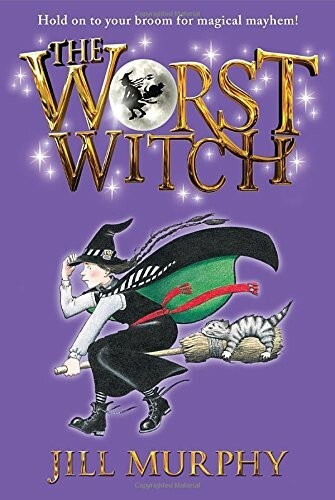 If she likes the first volume, make sure to check out The Worst Witch Strikes Again and A Bad Spell for the Worst Witch. Meggie's father, Mo, has refused to read to her since she was a baby, and she's never known why until the day a man called Dustfinger appears and calls her father Silvertongue. 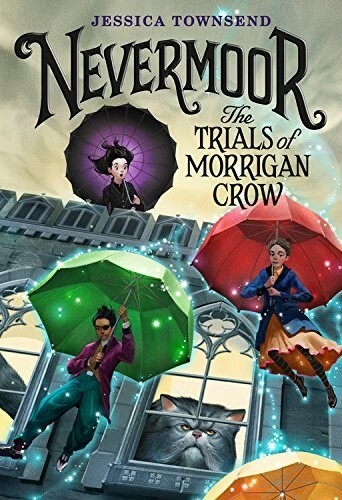 It turns out that Mo has a wonderful but terrible ability: if he reads a book aloud, the characters literally come to life — and the last time he did, he not only freed a wicked villain named Capricorn from the book Inkheart, he also accidentally read Meggie's mother into the book. Now, though, Capricorn wants to put Mo's abilities to evil use, and he's planning to use Meggie to make him do it. 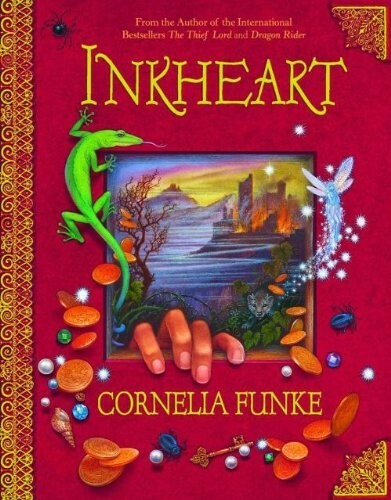 In order to stop Capricorn, Meggie and her family will have to find the author of Inkheart... in hopes that they can write a new ending. 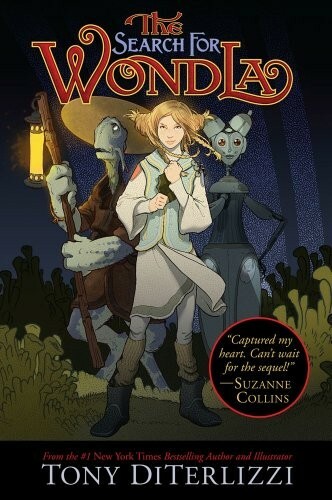 This unique story-within-a-story will fascinate young fantasy fans! The story continues in Inkspell and Inkdeath. Emily Windsnap is half-human, half-mermaid, and the moment she discovers her true heritage, she's off on a series of underwater adventures! 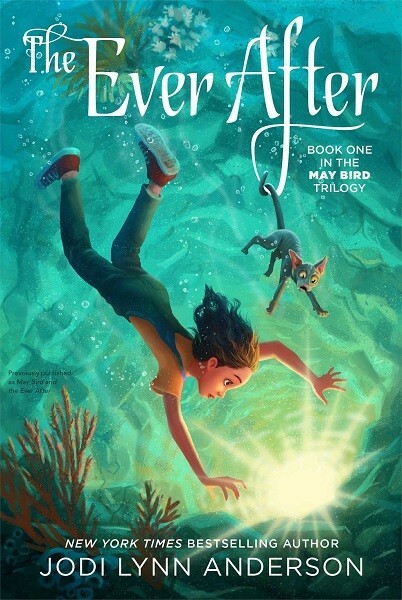 But there are dangers that Emily, who was raised as a human, isn't prepared for in the world of the merpeople — and when she makes mistakes, the consequences can be enormous! Fortunately, she has good friends to help her find her way. 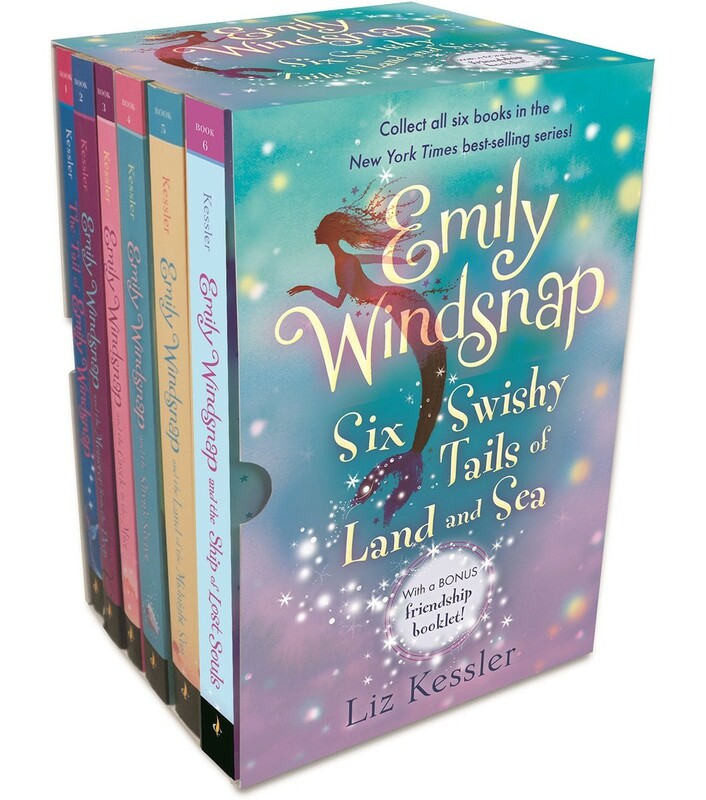 This set includes all six Emily Windsnap books, plus a bonus Best Friends with Emily Windsnap booklet. Best friends best friends Sophie and Agatha are excited to start at the School for Good and Evil, where they'll learn to be fairy-tale heroes or villains. Sophie is sure her pink ruffles and glass slippers make her a natural choice for Good, while Agatha assumes her taste for black and her wicked cat means she belongs in Evil... but when they're assigned, they are shocked to discover that their fortunes are reversed. The change means re-evaluating who they imagined themselves to be, making new alliances and traveling unexpected paths. All three volumes of this best-selling series are collected in this set, and readers will love watching Sophie and Agatha find new definitions of Happily Ever After. Twelve-year-old Sophie has never quite fit in, and she's always had to conceal a big secret: she's a Telepath. When she meets a mysterious boy named Fitz, she learns that she literally doesn't belong where she is: Sophie is an elf living in the human world. But while returning to the elf world answers some of her questions, others linger...including where she really came from and why she can't remember her past. 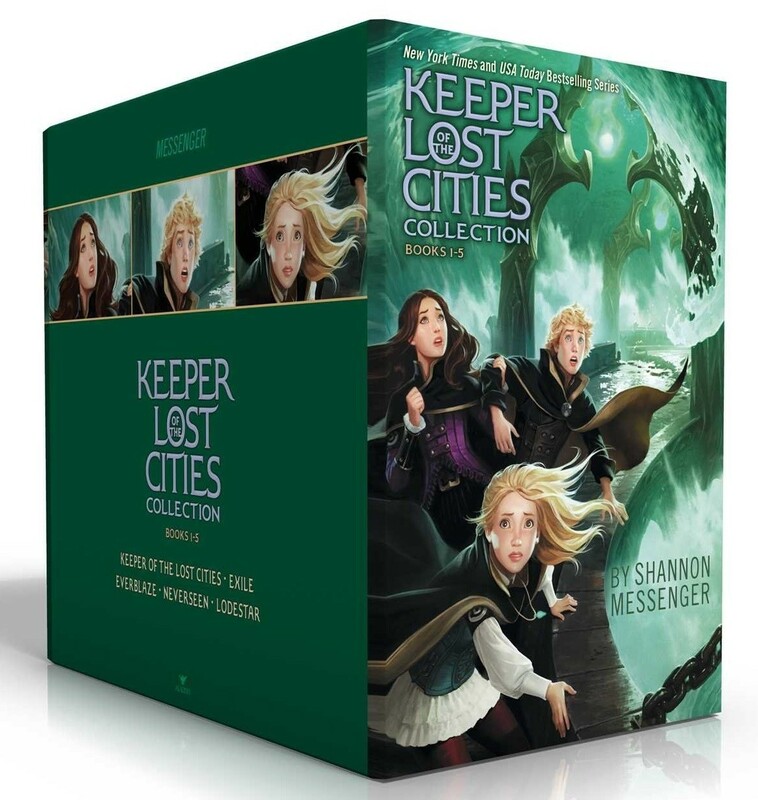 This box set collects paperbacks of the first three volumes of the series, Keeper of the Lost City, Exile, and Everblaze. Tiffany Aching is a dutiful (if grudging) big sister and a talented cheesemaker — but what she really wants is to be a witch. She might need some witch magic fast, though, when the Queen of Faerie steals her little brother away! 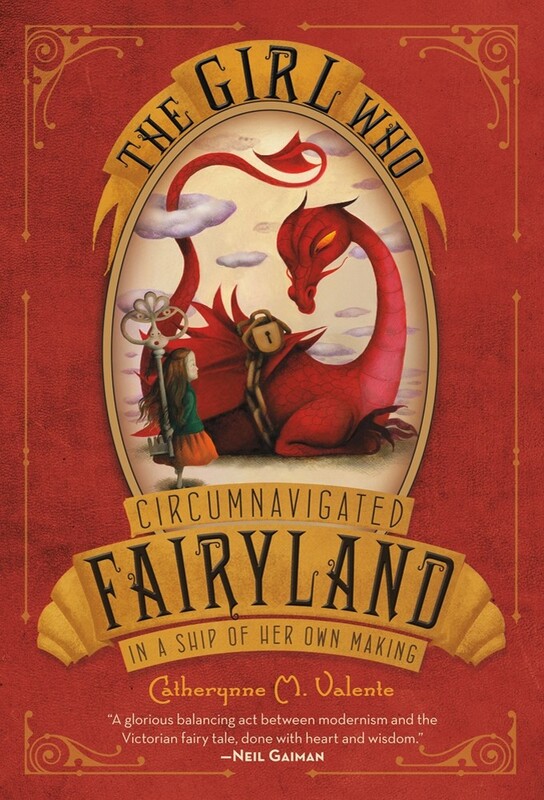 With a piece of string, a borrowed toad, a cast-iron pan, and the Nac Mac Feegle, a clan of six-inch-tall Pictsies, Tiffany will have to dare going into fairyland itself if she’s going to make things right again. With a complex plot full of metaphors about growing up — and plenty of humor along the way — you’ll be eager to follow Tiffany on future adventures! Tiffany’s story continues in A Hat Full Of Sky, Wintersmith, I Shall Wear Midnight, and Terry Pratchett's final Discworld novel, The Shepherd's Crown. Kendra and her brother, Seth, have no idea that their grandfather is the current caretaker of Fablehaven. Inside the gated woods, ancient laws keep relative order among the greedy trolls, mischievous satyrs, plotting witches, spiteful imps, and jealous fairies. But when the rules get broken, powerful forces are unleashed, and Kendra and her brother face the greatest challenge of their lives. To save their family, Fablehaven, and maybe even the world, Kendra and Seth must find the courage to do what they fear most... Brandon Mull's debut novel — and the series that follows — crackles with magic and adventure. You can also find the full series in the Fablehaven Boxed Set. The king’s priests have prophesied that one girl from Miri’s village will be the future princess of the realm, so the king’s ministers set up an academy for every girl in the village to teach all of them how to be a proper princess, in case the prince selects them at the end of the year. The possibility of a life of nobility unleashes vicious competition between former friends, but the would-be princesses have bigger problems: a group of bandits who set out to storm the academy and kidnap the future princess. Miri will have to use her unexpected new-found powers — and unite the competing girls — to save them all. 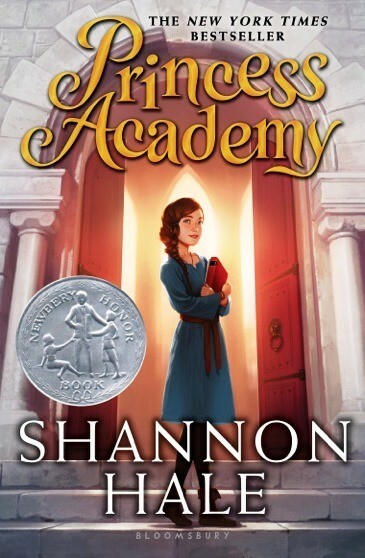 Miri’s story continues in the sequel Princess Academy: Palace of Stone and Princess Academy: The Forgotten Sisters. Creel's aunt is desperate to tie her family to royalty, so she dumps Creel in front of the local dragon in hopes that she'll be rescued by the local prince! Instead, Creel rejects the haughty prince and befriends the dragon, who, it turns out, has a remarkable collection of shoes. Among them, she finds a pair of slippers to wear as she sets out to make her fortune using her gifts at embroidery. Little does she know, these unique slippers could save the kingdom or destroy it. 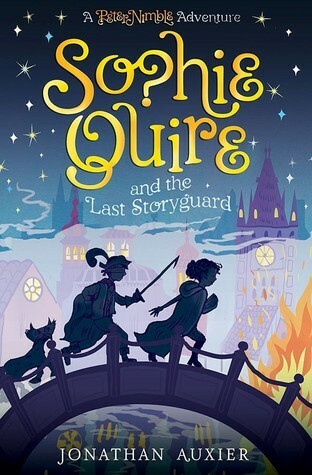 This charming story, full of vivid descriptions of everything from Creel's "fancywork" to the rough streets of the King's Seat, will delight middle grade readers. Creel's story continues in Dragon Flight and Dragon Spear. People in town think Meg is a loose cannon, her brother Charles Wallace is dumb, and her father ran off and left their scientist mother — but Meg doesn’t believe a word of any of it. 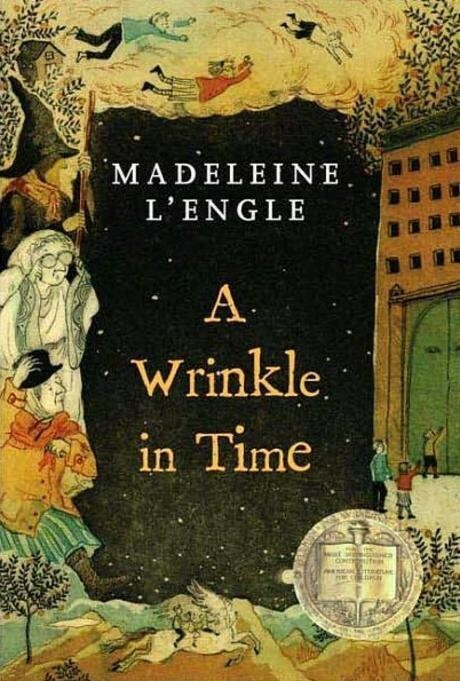 So when an unexpected stranger appears in their kitchen and tells Meg about a tesseract — the “wrinkle in time” which her father was researching for the government — Meg decides to set off through space and time to find him. Her adventures with Charles Wallace and neighbor Calvin will require all of their strengths to accomplish! This modern classic is the first of a quintet of science fiction classics, which are available in this box set. Fans of the book can also check out the graphic novel adaptation by Hope Larson. Morrigan Crow knows she's cursed: she was born on the unluckiest day, she gets blamed for every misfortune, and everyone reminds her that she's doomed to die on midnight of her next birthday. Then a mysterious man named Jupiter North appears and whisks her away to a magical city called Nevermoor. But her residence isn't permanent: Morrigan is Jupiter's selection to compete for a place in the Wundrous Society... and if she fails, she'll have to face her deadly fate. Exciting, whimsical, and colorful, this book will be a favorite with readers who love fantasy and adventure; Morrigan's adventures continue in Wundersmith: The Calling of Morrigan Crow. After tragedy strikes their family, Emily and Navin’s mother Karen decides to move the family to their great-grandfather’s house in the little town of Norlen. The locals believe the house is haunted, but the family discounts the rumors — until Karen is kidnapped by a monster! Emily and Navin discover they will have to follow her into another world if they want to reunite their family. Along the way, Emily discovers a stone amulet and learns that she has powers she didn’t know she possessed. 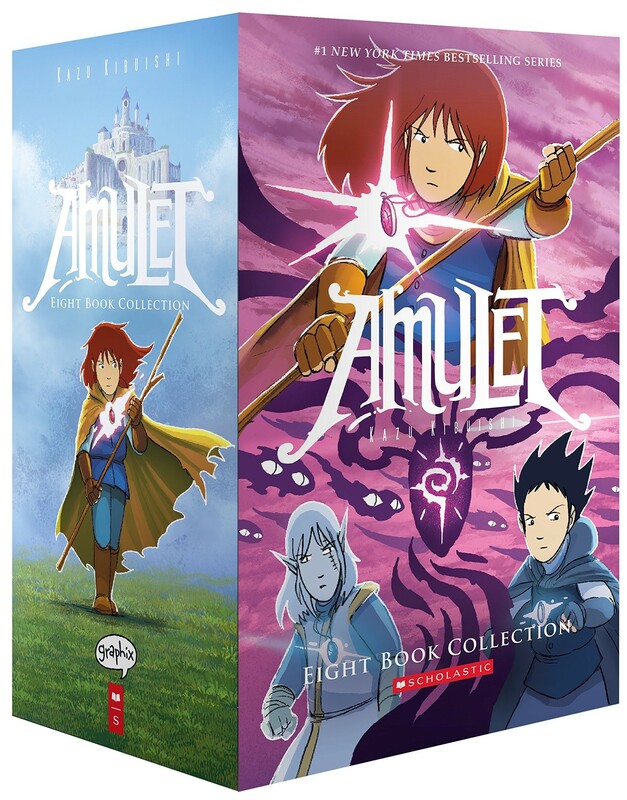 This box set collects the first seven volumes of this popular and critically-acclaimed graphic novel series. 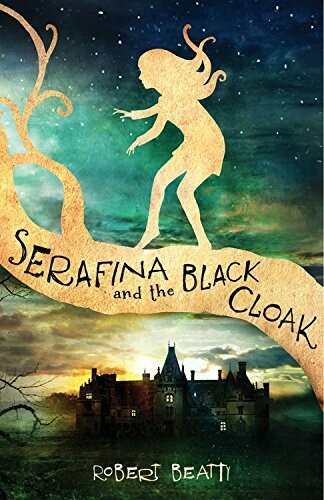 From the moment that children at her home on the Biltmore Estate start disappearing, Serafina begins to realize that she is different than she thought. She forms a friendship with Braeden Vanderbilt, the young nephew of the Biltmore's owners, and slowly grows into — and claims — her role as the protector of Biltmore and the Blue Ridge Mountains. 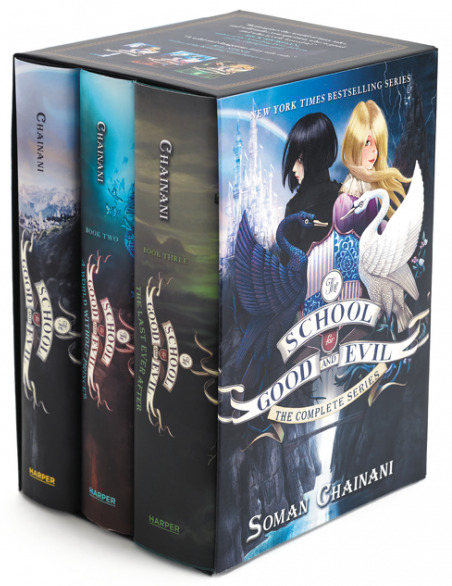 This New York Times bestselling series is now available in a box set that collects hardcover editions of Serafina and the Black Cloak, Serafina and the Twisted Staff, and Serafina and the Splintered Heart. Cimorene has no interest in being a proper princess, so instead of waiting to be kidnapped by a dragon, she runs away and makes a bargain with one — she’ll keep house as a captured princess would, provided she also gets to be herself and explore her non-princessy interests. Fortunately for Kazul, Cimorene’s dragon, Cimorene also manages to help unearth the wizards’ plot against the dragons in time to stop it... for now. 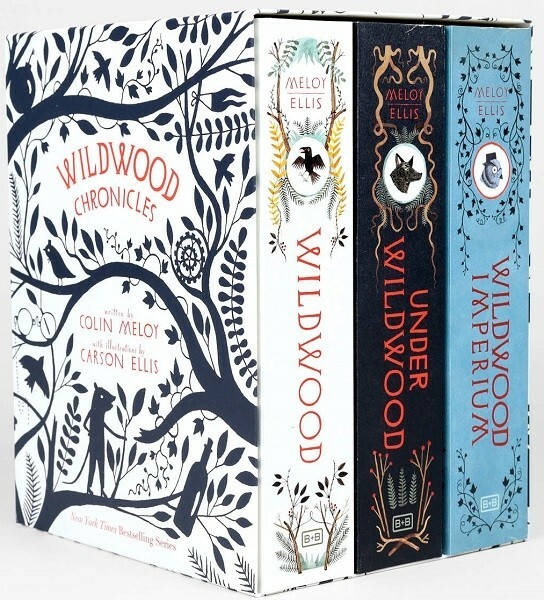 Fans of this book can also pick up the Enchanted Forest Chronicles box set, which includes all four books in the series with all-new cover art. 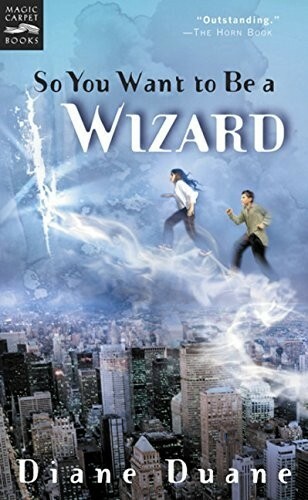 Nita Callahan is using the library as a refuge from the bullies who torment her when she stumbles across an unexpected title: right next to career books about being a pilot, a scientist, and a writer, she finds So You Want To Be A Wizard! At first, she figures it's a joke, but when she takes the Wizard's Oath, she finds her name magically appears on the list of wizards. Soon, she and another new wizard, Kit Rodriguez, find themselves caught up in a battle to stop the dark Lone Power. But perhaps clever Nita and Kit can find a way to turn even the Lone Power towards the light. Fans of this exciting and entertaining fantasy novel can follow Nita's further adventures in the rest of the Young Wizards series. After their mother's tragic death, siblings Sadie and Carter became strangers to one another: Sadie lived with her grandparents in London, while Carter followed their Egyptologist father on excavations and research missions. But when Carter is 14 and Sadie is 12, their father brings them together for a "research experiment" at the British Museum — one which goes horribly wrong, unleashing the Egyptian god Set and forcing the children to run for their lives. Soon, Sadie and Carter discover that they are inheritors of unexpected powers and the only people who can stop Set from claiming the world. 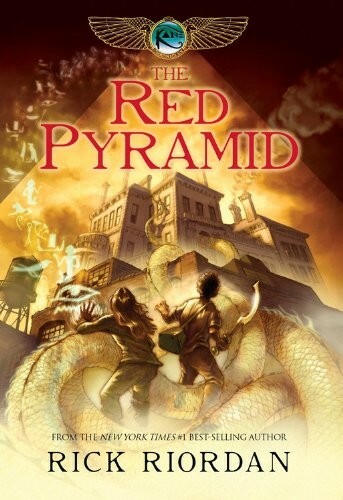 Rick Riordan's signature blending of ancient mythology and modern setting gets a unique twist in this series, which features a dual narration by both Sadie and Carter. Fans of the series can get all three books in The Kane Chronicles: The Complete Series box set. Ani, the Crown Princess of Kildenree, spent the first years of her life under her aunt's guidance learning to communicate with animals — but she never became comfortable speaking with people. So when her silver-tongued lady-in-waiting leads a mutiny during Ani's journey to be married in a foreign land, Ani cannot persuade anyone to assist her. 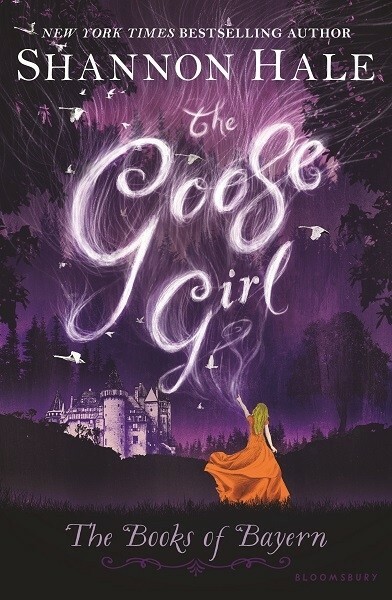 She conceals herself as a goose girl for the king, and slowly discovers that her own special, nearly magical powers can help her find her way to her true destiny. Fans of Shannon Hale's intriguing fantasy world and characters will want to check out the sequels, Enna Burning and Forest Born. Lyra Belacqua is content to run wild among the scholars of Jodan College, with her daemon familiar always by her side. But the arrival of her fearsome uncle, Lord Asriel, draws her to the heart of a terrible struggle -- a struggle born of Gobblers and stolen children, witch clans and armored bears. And as she hurtles toward danger in the cold far North, Lyra never suspects the shocking truth: she alone is destined to win, or to lose, this more-than-mortal battle. The first book of Philip Pullman's His Dark Materials trilogy tackles deep philosophical issues, as well as questions about love, loyalty, and loss. 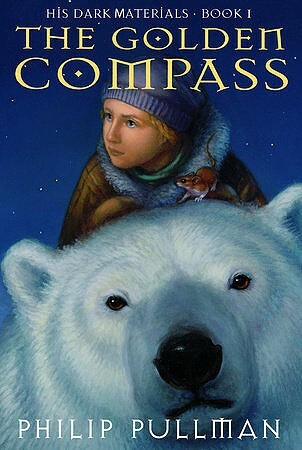 The trilogy has also been reissued with new cover art in the His Dark Materials Boxed Set. There is also a new prequel featuring Lyra as a baby, The Book of Dust: La Belle Sauvage. Twelve-year-old September lives in Omaha, and used to have an ordinary life, until her father went to war and her mother went to work. One day, September is met at her kitchen window by a Green Wind who invites her on an adventure to Fairyland. The new Marquess is unpredictable and fickle, and also not much older than September. With the help of new friends, including a book-loving Wyvern and a mysterious boy named Saturday, September is the only one who can retrieve a talisman the Marquess wants from the enchanted woods. But will September be able to return home, or will she find herself bound to Fairyland forever? 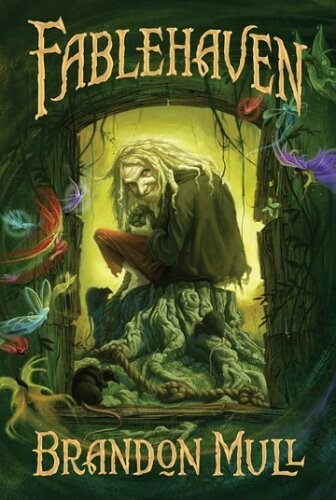 Catherynne M. Valente's unique and original Fairyland books, featuring illustrations by Ana Juan, have the same timeless quality as Alice's Adventures in Wonderland and The Wizard of Oz. 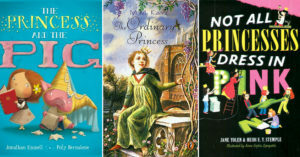 To see all five volumes in this acclaimed series, visit our Fairyland Collection. Sophie is the eldest of three daughters, and destined to fail miserably should she ever leave home to seek her fate. But when she unwittingly attracts the ire of the Witch of the Waste, Sophie finds herself under a horrid spell that transforms her into an old lady. 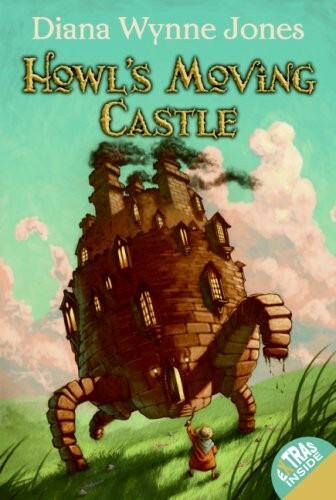 Her only chance at breaking the spell lies in the Wizard Howl's ever-moving castle in the hills. To untangle the enchantment, Sophie must handle the seemingly heartless Howl, strike a bargain with a fire demon, and meet the Witch of the Waste head-on. Along the way, she discovers that there's far more to Howl — and herself — than first meets the eye. Diana Wynne-Jones' magical book, which inspired the Academy Award nominated Studio Ghibli film, is inventive and full of wonder. 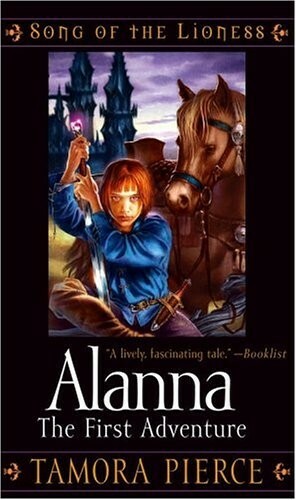 Fans of this book should also check out the sequel, House of Many Ways. When Prue McKeel's brother is abducted by a murder of crows, her life goes from ordinary to fantastical in a hurry. The crows have taken her brother into a vast forest the locals call the Impassable Wilderness, where no one has ever gone — or at least not lived to tell about it. But when Prue and her friend Curtis dare to enter the wood, they discover another world, full of warring creatures, peaceful mystics, and a chaotic crisis being prompted by mysterious but powerful denizens. Together, they must do more than rescue Prue's brother; they must fight for the freedom and safety of the Wildwood. This exciting story, told in dual narration, is perfect for fans of epic fantasy; the box set includes a gorgeous package and over eighty illustrations, including maps and full-color plates. Alanna has always dreamed of adventurous deeds, something denied to girls in Tortall, while her brother Thom yearns to learn magical arts. So when they’re sent off to learn their trades, the pair decide to trade places: Thom goes to the convent, while Alanna sets off to become a page — and eventually, she hopes, a knight. “Alan” finds it easier than expected to conceal who she really is, and quickly impresses those around her with her determination. But she’s haunted by visions of an evil city, and she wonders whether she can keep her gender a secret and whether she will falter or finally achieve her destiny. The first of the Song of the Lioness quartet, this book will delight fantasy fans, who can also find the whole series in The Song of the Lioness Box Set. Thirteen-year-old Daine has always had a knack with animals, but it's not until she's forced to leave home that she realizes it's more than a knack — it's magic. With this wild magic, not only can Daine speak to animals, but also she can make them obey her. Daine takes a job handling horses for the Queen's Riders, where she meets the master mage Numair and becomes his student. But soon she begins to sense other beings too: immortals, bloodthirsty monsters have been imprisoned for four hundred years. Now someone has broken the barrier, and it's up to Daine and her friends to defend their world from an immortal attack. 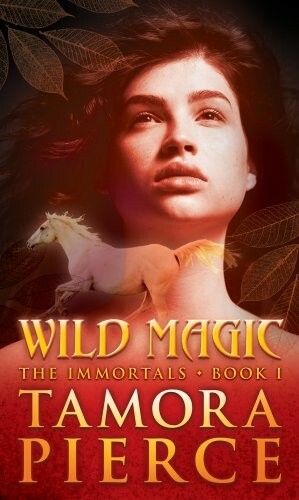 Another thrilling series from fantasy author Tamora Pierce, The Immortals will have readers on the edge of their seats. There is also a gorgeous Immortals Quartet Box Set with exquisite new cover art featuring all four books in the series. 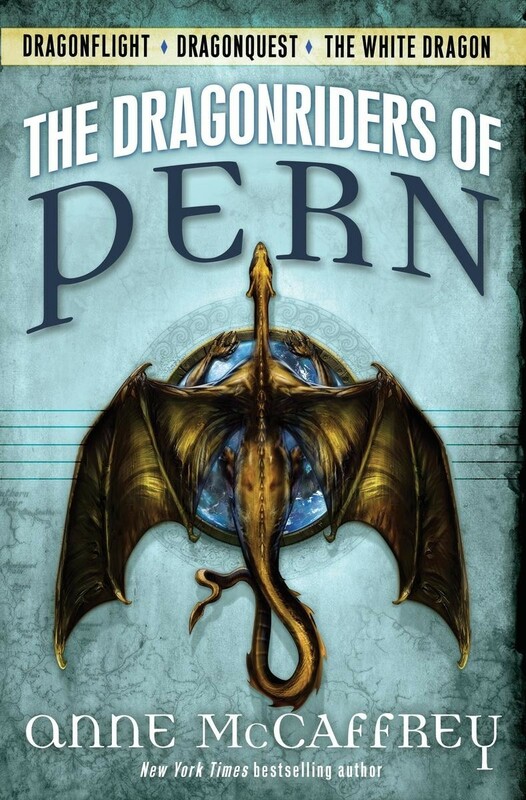 Only a few of the people of Pern still believe the stories of deadly Thread falling from the sky — so the dragonriders, Pern's defense against Thread, have dwindled in number, and the populace is completely unprepared. 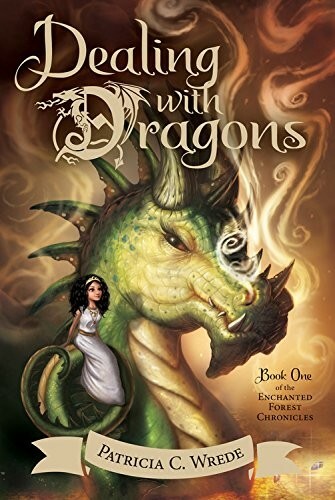 Lessa, the lone queen dragonrider, is determined to find a solution to save her world, but it will take every bit of her strong will — and the power of her bond with her dragon — to fill the Weyrs again in time for Thread's arrival. All three of Anne McCaffrey's original Pern books are collected in this volume, perfect to introduce new readers to the series. Fans of the Pern stories will also enjoy checking out Dragonsdawn, which explores the colonists' arrival on Pern and the creation of their dragon partners. 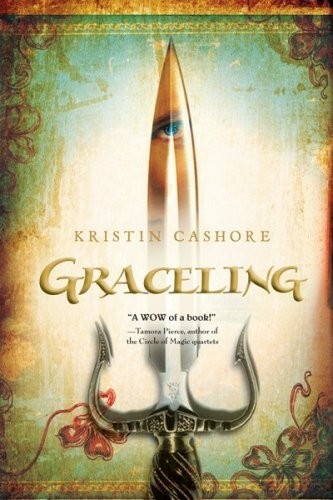 Sent to a boarding school in Ancelstierre as a young child, Sabriel has had little experience with the power of Free Magic or the Dead who refuse to stay dead in the Old Kingdom. But during her final semester, her father, the Abhorsen, goes missing, and Sabriel knows she must enter the Old Kingdom to find him. With the help of new friends, she'll travel deep into the lands of the Dead but every step brings them closer to a battle that will pit them against the true forces of life and death and bring Sabriel face-to-face with her own destiny. 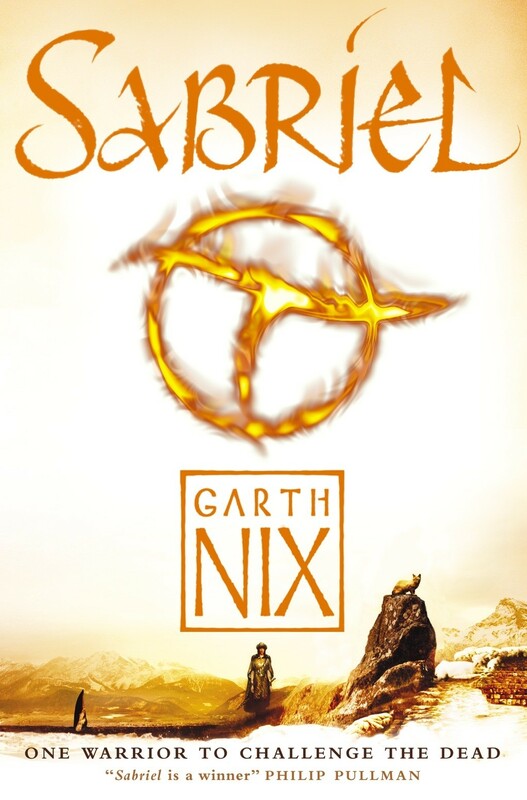 The first book of the Abhorsen Trilogy established Garth Nix as a force in young adult fantasy, and the remainder of the series does not disappoint. All three books are available together in The Abhorsen Trilogy Box Set. The once-great nation of Ravka has been torn in two by the Shadow Fold, a swath of near impenetrable darkness crawling with monsters... and its savior may be Alina Starkov, a refugee who reveals an unexpected power and gets swept to the royal court to be trained as one of the Grisha, the magical elite. But Alina struggle to fit in, and things are not as they seem. As a new threat to Ravka grows, a frightened girl will become a hardened leader. 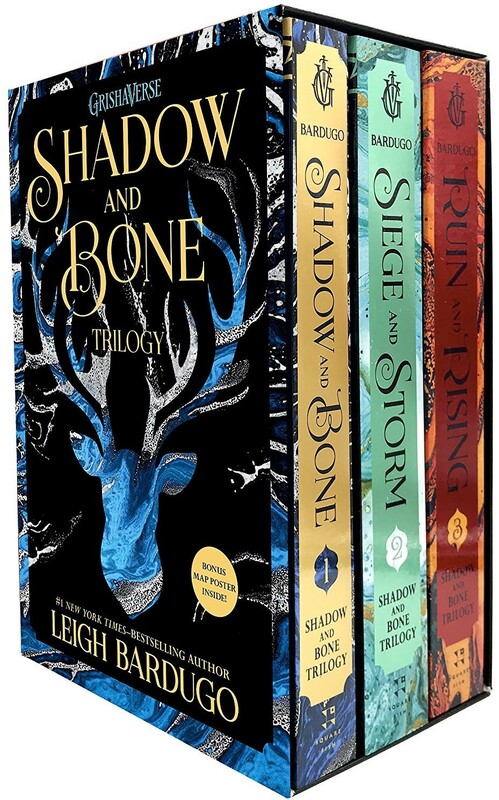 This trilogy, with its innovative fantasy setting, is sure to be a favorite; the box set comes with three paperback editions, plus a collectible poster-sized map of the Grishaverse. 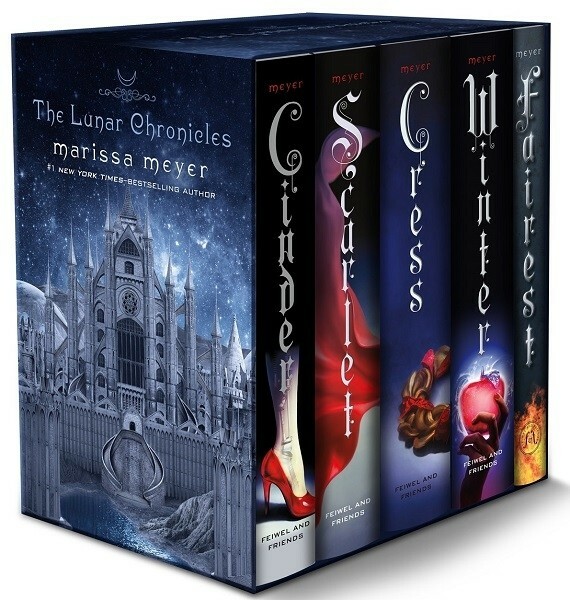 A unique mix of fairy tale and futuristic technology have made the Lunar Chronicles a best-selling series! When Prince Kai seeks out the cyborg Linh Cinder, hoping to recruit her for her mechanical skill, she has no idea she'll become central to a movement to topple the tyrannical Queen Levana. Over the course of the series, she'll meet Scarlet (Red Riding Hood), Cress (Rapunzel), and Winter (Snow White), and they'll race against time to topple the queen before their world tears itself apart. Fans of the series will love getting to read this complex and thrilling story from beginning to end. The once-great nation of Ravka has been torn in two by the Shadow Fold, a swath of near impenetrable darkness crawling with monsters who feast on human flesh... and its fate may rest on the shoulders of one lonely refugee. Alina Starkov has never been good at anything, but when her best friend is brutally injured, Alina reveals a dormant power that saves his life — a power that could be the key to setting her war-ravaged country free. Wrenched from everything she knows, Alina is whisked away to the royal court to be trained as a member of the Grisha, the magical elite led by the mysterious Darkling. Yet nothing in this lavish world is what it seems. 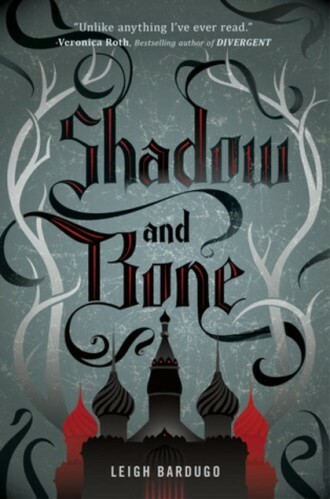 With darkness looming and an entire kingdom depending on her untamed power, Alina will have to confront the secrets of the Grisha and the secrets of her heart. Innovative and powerful, this trilogy is sure to be a hit. Make sure to follow the rest of Alina's story in Siege and Storm and Ruin and Rising. In a land without magic, where the king rules with an iron hand, Celaena Sardothien is summoned to the castle. The young assassin is there for a rare chance at freedom: if she defeats twenty-three other killers, thieves, and warriors, she is released from prison to serve as the king's champion. The Crown Prince will provoke her. The Captain of the Guard will protect her. But something evil dwells in the castle of glass — and it's there to kill. When her competitors start dying one by one, Celaena's fight for freedom becomes a fight for survival, and a desperate quest to root out the evil before it destroys her world. 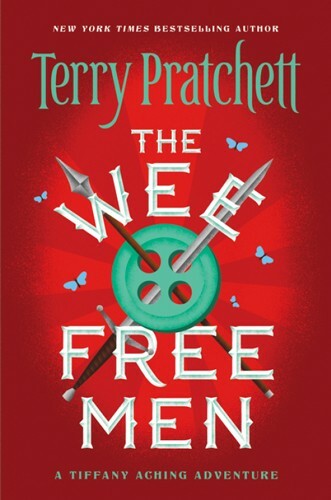 Complex world-building and political intrigue make this a fascinating read for teens. 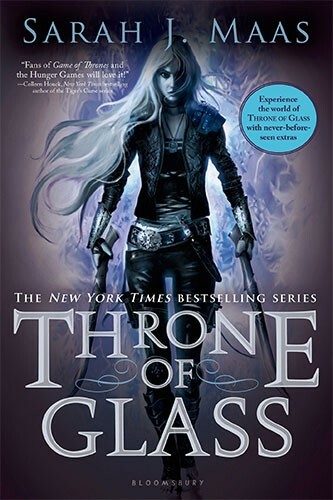 You can find the rest of Celaena's story in the Throne of Glass box set. For more stories for adventure fans, check out our Action & Adventure Collection. For more Mighty Girl fantasy stories, visit our Fantasy & Science Fiction Collection. For stories of Mighty Girls on the cusp of adulthood, visit our Coming of Age Collection.